AC Health Center will help you achieve optimum well-being! AC Health Center, as premier wellness center in Torrance and Fullerton, offers Acupuncture, Fertility and Infertility Treatment, Pain Relief, Herb and Herbal Medicine, Traditional Chinese Medicine, Massage and much more. 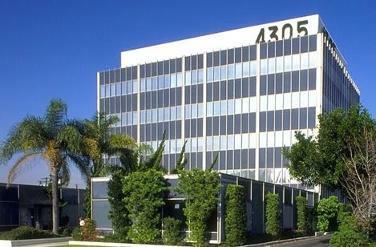 We have two acupuncture offices, located in Torrance, CA and Fullerton, CA. Our purpose is to provide the highest level of care, our mission is to work with our patients as a team, and our goal is to help as many people get healthy and free of pain naturally. Are you in pain? Stress? High blood pressure? We can help! Acupuncture is one of the main branches of Traditional Chinese medicine. It facilitates the healing of physical, emotional, and mental disease. Read more. "We finally made the ‘BIG’ decision! We want to become parents. I was so excited at first, but now I'm so disappointed. Each month, there it is again, my period. Will I ever get pregnant?" We can help! Read more. The organs control all body functions.Health is only possible when all the organs of the body are functioning properly. Symptoms, although the first to disappear, are the last stage of a problem. Illnesses fall into one of three categories. The second and more prevalent manner in which illness develops is via a body being receptive to infection. The third and increasingly prevalent category of illness is called functional. A healing reaction (also called a 'healing crisis' or 'detox') is a temporary worsening of existing symptoms or an occurrence of new symptoms as your body becomes healthier. A healing reaction, although sometimes unpleasant, is a positive sign of improved function in the body. If one fails to eat properly, cope successfully with emotional stress, exercise and do those things that promote an elevated resistance to body dysfunction, then one, in effect, could cause his/her own in health.